At flipkart.com you can purchase Just Cause 3(for PS4) for only Rs. 1,049, which is 5% less than the cost in Snapdeal (Rs. 1,099). 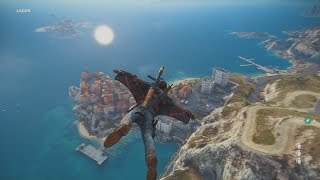 The lowest price of Just Cause 3 for PS4 was obtained on April 24, 2019 9:40 pm. 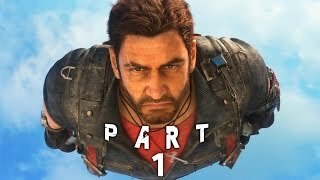 This game has come a long way from previous Just Cause games. The world (which is Medici,Italy) seems a lot more bigger and interactive than JC2. The story is not bad either. You have to liberate many bases, cities, outposts etc. You can drive anything from sports cars to tanks and fighter jets. The missions are repetitive. This game can get over very fast. But if you are looking for a shooter game, you must definitely buy it. It’s a fun game, the open world is fun to play. The game gets repetitive after a while and the story could have progressed a little faster.All in all, it’s a decent but forgettable game. not that good, you will play this game only once. once you have completed the game you will not feel like to play it again. Great game! The only problem I faced was that the actual disk in the box was loose/moving around in the box…. A game that is entertaining. But not recommended. Not one of the best shooting games i have played , still graphics and the game definitely kills it. The CD was faulty and despite of all efforts yet to receive any helpful solution from Amazon ! !